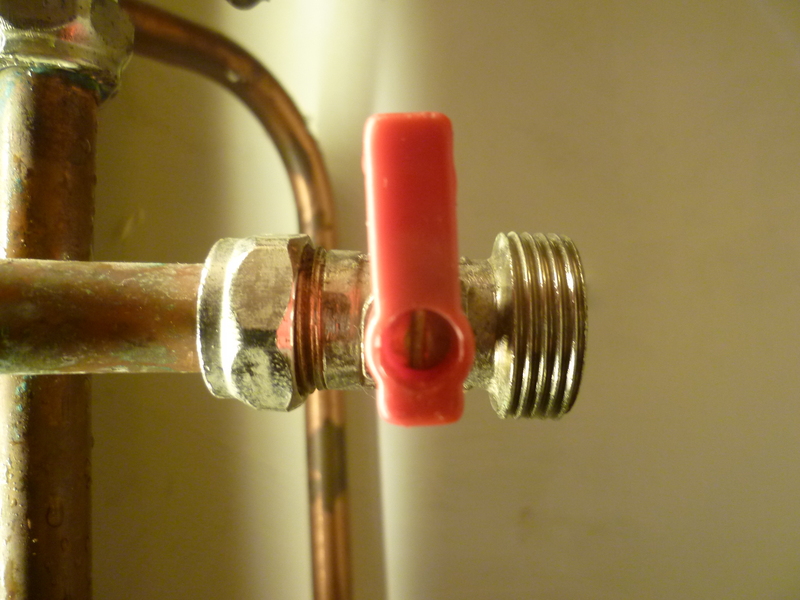 Does your Combie boiler fire up when you use the cold tap? 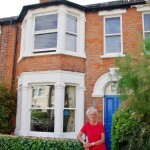 Thanks previous Open Eco Homes host Anne Miller for sharing this great blog. This is the sort of great detail you get when you book on a tour! This seemed very odd! The whole point of a Combie is that it only heats up the hot water when you need it. It was also very annoying, because we try hard to keep our energy usage and carbon emissions to a minimum, and this was clearly wasting energy. We subsequently estimated that it had increased our summer gas usage by about 10%. It happens when air has been trapped in the pipework to the taps (note this is a completely different circuit to the one that heats the radiators). Because the trapped air acts like a bouncy cushion, when a cold tap is turned suddenly off, the shock compresses the cushion of air, which tricks the Combie into thinking that the hot tap has turned on. This means that to fix it, ideally you need to find a way to let out the trapped air. Here are some simple things you can do before you spend money on calling out the professionals. Start by running the taps, initially gently then increasing to full flow. You’ll know when air is coming out, because the flow of water will cough and splutter, then when the air’s out from that bit of pipework, the water will flow smoothly. Do this for all the taps, starting at the top of the house. If this doesn’t fix it, the air may be trapped in a “deadleg”, in other words a bit of pipework that no longer ends in a tap. The next thing to check is whether there are any connections for washing machines or dishwashers that are no longer in use. These are increasingly common, because whereas a few years ago plumbers would automatically install both a hot and cold feed to a washing machine, these days new washing machines tend to be cold fill only, so the hot feed will probably have been blocked off. Hopefully this will have been done with a little tap, which makes it very easy to bleed the air out. In our case, I found three of these little taps: one for the unused hot feed for our washing machine, and another pair in a cupboard where our washing machine used to be. Once I’d bled the air out of these, the combie started working perfectly again. If you’re unlucky, there might be a deadleg that a thoughtless plumber has left somewhere inaccessible, like under your bathroom floor. If this is the case, don’t despair, because a simple alternative can be to get a plumber to install a non-return valve on the cold feed to the boiler. It’s not the ideal solution, because the valve may get blocked someday, but with luck this will reduce the bounce effect enough to stop the boiler turning on despite the trapped air.